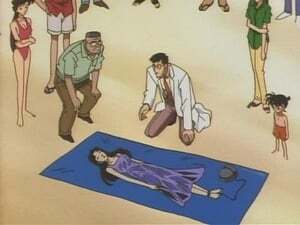 A client named Masao come to see Kogoro claiming that his sister has gone missing and he thinks she has been murdered. 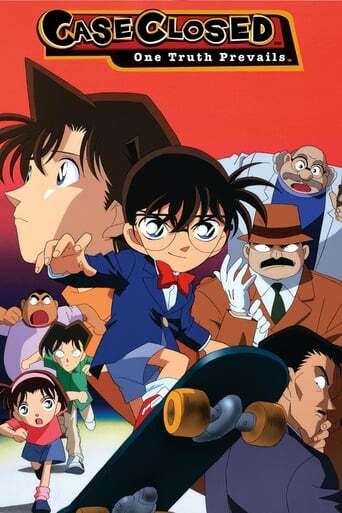 The Detective Boys solve another case and appear on the newspaper! 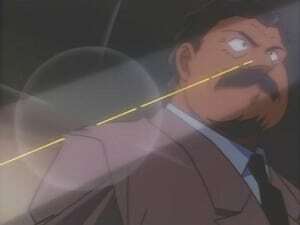 Then while walking home after Kogoro invites the kids to eat, a red car hits Ayumi and takes off. 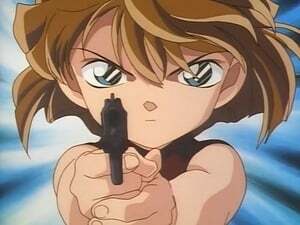 Conan takes out his solar-powered skateboard and the Detective Boys chase after this person. For a while the red car disappears and then reappears and drives to the police station to turn himself in, but thats not all. While the pursuit was going on, a person of a company gets murdered and it happens to be that the man driving that car knew the victim. Is he the murderer? If so, can Conan and the others prove it?! 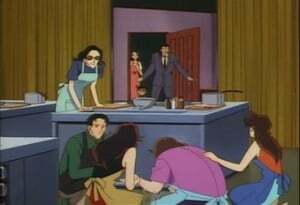 Ran takes a French cuisine cooking lesson in Sonoko's absence and Conan and Kogoro tag along. After a blackout, the teacher is on the floor claiming to have trouble breathing and Conan discovers she's been punctured in the back. The police investigate and find evidence the attacker was someone from inside. The four suspects is interrogated and searched. It seems everyone has a motive, but no evidence or murder weapon is found to pinpoint the killer. Ayumi came to school one night to find a masked man. She told the vice-principal about it and he became absent for the last two days and the other teachers are acting suspicious. A young woman is found by a reef in what appears to be a suicide, but when information that the town's doctor had been intimate with her in the past is revealed, both Conan and Richard suspect that murder is really involved. Now the two must find the clues before his drinking alibi fully comes through. 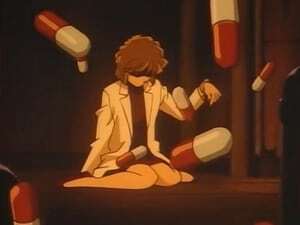 A young woman shows up at the detective agency asking Detective Mori to find her father, a mystery writer, who vanished two months ago along with his wife. The only clue to his whereabouts is a piece found in his latest publication, but can Conan and the others solve the code? 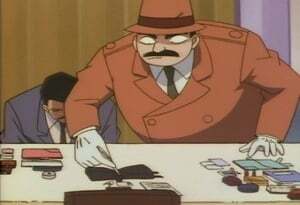 In continuation from the last case, the search for the mystery writer continues. 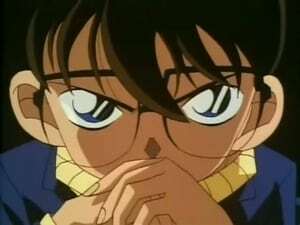 Conan and the others must decipher the code in his text in order to solve the mystery of his and his wife's disappearance two months ago. Will Conan be able to do help them do this without blowing his cover? 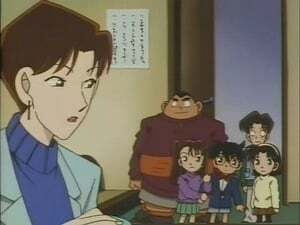 Hattori Heiji invites Kogoro, Ran, and of course Conan to Osaka. 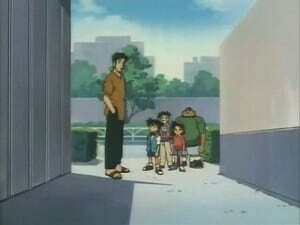 Heiji takes them around the city and soon bumps into Kazuha, Heiji's friend. 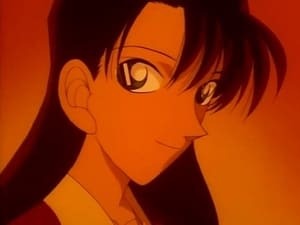 Kazuha who meets Ran mistakes Ran for Heiji's girlfriend and also thinks Ran is Kudo, the name that Heiji has mentioned to her. 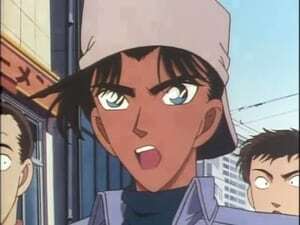 Heiji laughs at Kazuha and says that the Kudo he was talking about was a boy, Kudo Shinichi, the famous high school detective who had shrunk into Edogawa Conan. 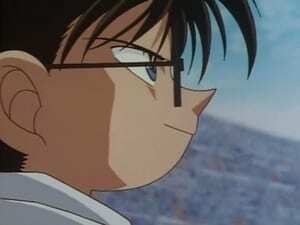 Heiji who had promised not to tell anyone that Conan was really Shinichi kept his mouth shut even to Kazuha. 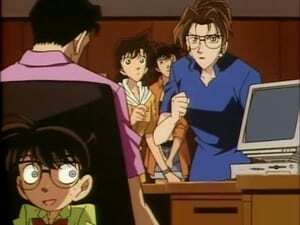 Conan was freaked out when Kazuha said 'Kudo'. 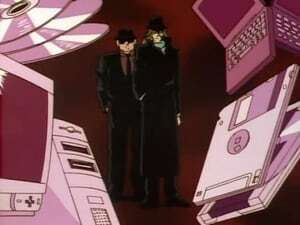 Later 2 people get murdered and its up to Conan and Heiji to solve the case! 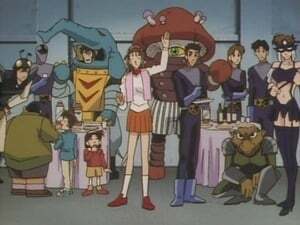 Conan and the gang attend a Kamen Rider costume party. 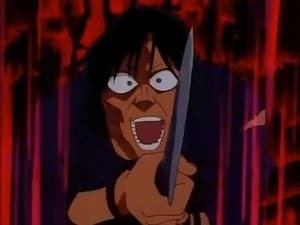 In a duel between a Yaiba cos-player and staff, both shoot their guns, but only one bullet kills. Is there more to this case than what everyone saw with their own two eyes? 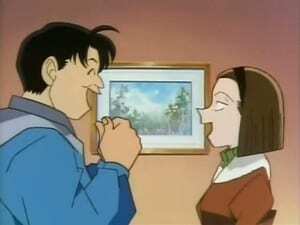 Kogoro is invited to a mountain house by a previous client named Hiromi Yamazaki who wishes Kogoro to help with the announcement of a spa resort. 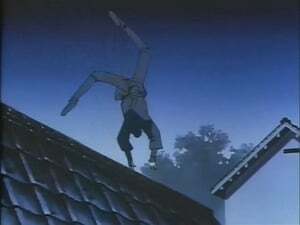 While Kogoro is looking out the window, Hiromi falls from the second floor and is announced dead. 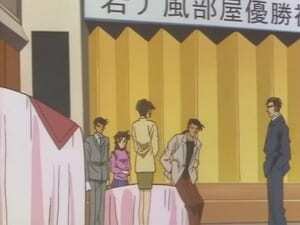 Conan, Ran, and Kogoro are on their way to a Yōko concert when Kogoro discovers he lost his ticket. 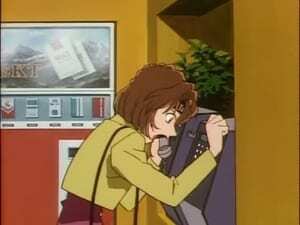 He overhears a woman named Masayo on the payphone and her situation about a friend who is unable to go to the concert because of a cold. 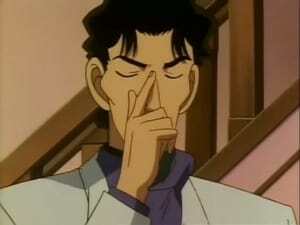 Kogoro asks her for the spare ticket and she accepts as long as Kogoro drives her to her house to pick up her sister, but they find Masayo's sister dead. 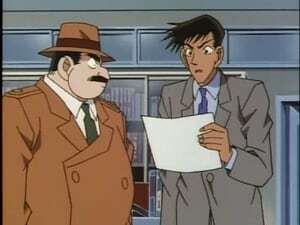 Seiji Ishimoto, president of an electronic company, claims he has been receiving threat letters and hires Kogoro as a bodyguard. Investigation into the minister's assassination continues. 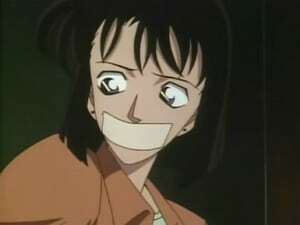 A new student named Ai Haibara comes to Conan's class and at that same day, a boy's brother was kidnapped. 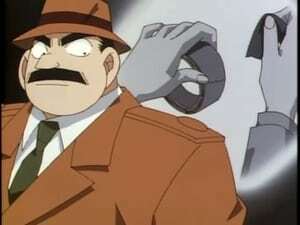 The brother asking the Detective Boys for help, decide to help find his brother...only it leads to something with something quite interesting. 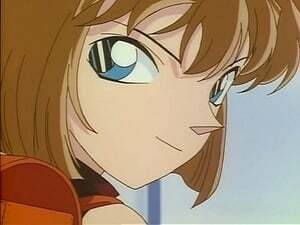 On New Years day there was a soccer game taking place in Tokyo and the Detective Boys including the new member, Ai Haibara got to watch the game. 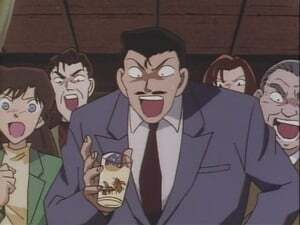 During the game the TV station was forced to aim the camera below where the Detective Boys were sitting and where the soccer ball was. Then the soccer ball jumped up and deflated. 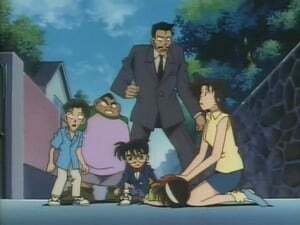 Conan jumps down and realizes that the ball was shot by a gun with a silencer on it. The caller who forced the station to aim the camera also forces them to pay huge amounts of money or else, someone dies! 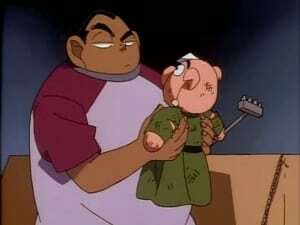 The police has found one of the accomplices who took the bag of money the police put there. But then with the person's cell phone on, the other person hears what has happened and threatens to kill someone if the police doesn't let his accomplice go. The police releases him and the TV station was forced again to pay more money that was impossible to get before the soccer game ends. 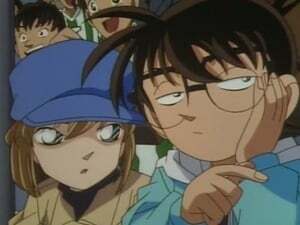 Conan realizes that this person has planned to kill someone in the first place and knows he has to find this person before one gets hurt! But with millions of people in the stadium, is it really possible to find this person before the game ends? 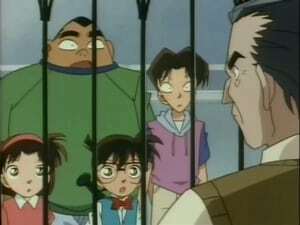 Conan realizes the trick behind the crossbow attack and uses Sonoko to solve the case. 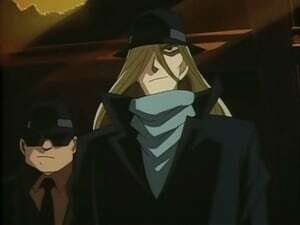 But that’s not all, Kaito Kid is lurking around!